Aaron Carter shared a shot from a “Late night fishing” adventure on Gandy Bridge in August 2017. 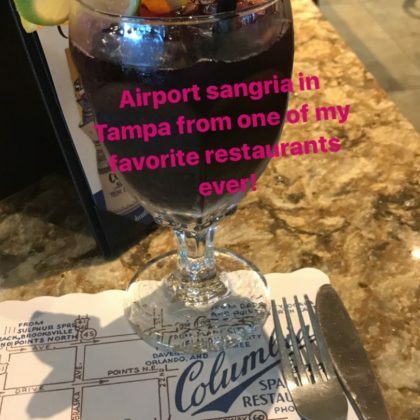 JoAnna Garcia Swisher ordered some “Airport sangria in Tampa from one of my favorite restaurants ever” — Columbia Restaurant Cafe — at Tampa International Airport. JoAnna Garcia Swisher said she and Jamie Lynn Sigler were “getting a little cuddle time with #Berko the Cus Cus” while attending a birthday party here with their kids in August 2016. JoAnna Garcia-Swisher﻿ “Made it just in time” to Bo’s Ice Cream for some “Sherbert” in August 2016. 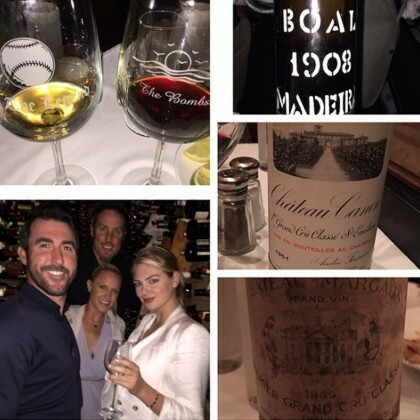 Kate Upton﻿ said she and ﻿Justin Verlander﻿ had a “Fun night at one of our favorite places” — Bern’s Steak House — which included glasses of wine, in March 2015.